Props: 1 magnifying glass, 1 Nancy Drew mystery, 1 sheet of corrugated paper, 1 pair of sunglasses, 2 wigs. It was difficult getting this batch at the Warhol Museum on Sunday with children running around. I’m sure they wondered why two adults were taping fake Christmas brick inside the photo booth and why we were laughing so hard as we took turns jumping in and out of it to switch frames. And they were terrified when Jeff came out from the last shot ; the one bowl-cropped wig makes him look eerily like Norman Bates dressed as Mother. My friend Katherine sent me! Love the mystery in the photo booth. thank you! i haven’t posted photo booth stuff in awhile, but i collect old photos and i work with instant film/Polaroid film to keep in the spirit for my love of vintage photography. Howdy, Lisa. These are really fun pics! Was this a real/film photo booth or a modern-day digital kind? I found your site in doing some research for a post about them I just did at http://rsmithing.wordpress.com/2011/12/09/hey-look-a-photo-booth-this-is-private-right …feel free to say hi in the comments, and you might dig some of the links in the writeup. Cheers. they are from a real chemical film booth at the andy warhol museum in pittsburgh. the booth has great black and whites. Love this page and have added a link to it on my new blog. Is that ok with you? I am still unsure of blog ettiquette. Thanks, Katherine! I am flattered you want to include a link, so by all means, do. 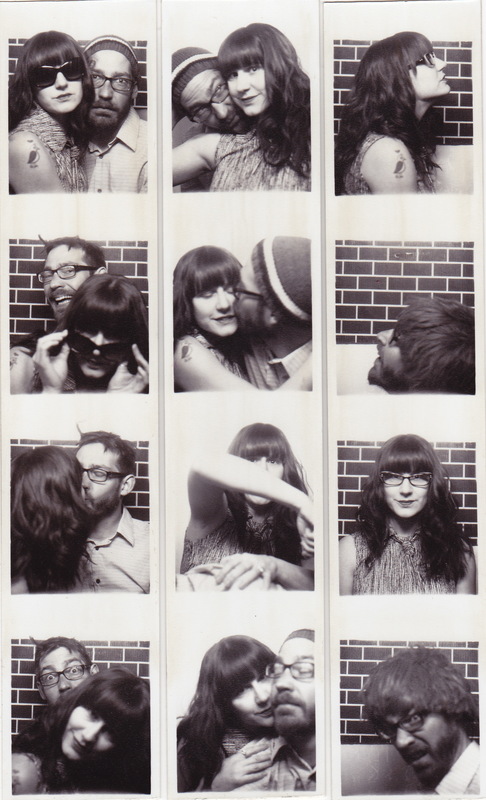 I have a few other photobooth posts too, if you’re interested. Those are fantastic! I’ sure that particular booth has seen even weirder happenings. Thanks, Lizzie! I can only imagine the stories that came out of this booth….